This groundbreaking documentary dissects a slanderous aspect of cinematic history that has run virtually unchallenged from the earliest days of silent film to today's biggest Hollywood blockbusters. Featuring acclaimed author Dr. Jack Shaheen, the film explores a long line of degrading images of Arabs--from Bedouin bandits and submissive maidens to sinister sheikhs and gun-wielding "terrorists"--along the way offering devastating insights into the origin of these stereotypic images, their development at key points in U.S. history, and why they matter so much today. Shaheen shows how the persistence of these images over time has served to naturalize prejudicial attitudes toward Arabs and Arab culture, in the process reinforcing a narrow view of individual Arabs and the effects of specific US domestic and international policies on their lives. By inspiring critical thinking about the social, political, and basic human consequences of leaving these Hollywood caricatures unexamined, the film challenges viewers to recognize the urgent need for counter-narratives that do justice to the diversity and humanity of Arab people and the reality and richness of Arab history and culture. Shaheen's lectures and writings illustrate that damaging racial and ethnic stereotypes injure innocent people. Dr. Shaheen, an Oxford Research Scholar, is the recipient of two Fulbright teaching awards. He has appeared on national network programs such as CNN, MSNBC, National Public Radio, Nightline, Good Morning America, 48 Hours, and The Today Show. Shaheen has served as a consultant with film and TV companies: DreamWorks, Warner Brothers, Hanna-Barbera, and Showtime. "Jack Shaheen is a one-man anti-defamation league who has exposed Hollywood's denigration of Arabs in most, if not all, of its films." "Jack Shaheen continues to be a piercing laser of fairness and sanity in pointing out Hollywood's ongoing egregious smearing of Arabs." "This taut, well-argued analysis of ethnicity betrayed shows us the power of Hollywood's movies to miseducate the senses-and, since the senses are its gateways, to distort the soul." "Timely and salutary ... highly recommended for all public and academic libraries." "Jack G. Shaheen has long been a prophet in the Hollywood wilderness, writing from carefully documented scholarship that exposes the film industry's negative portrayals of Arabs and Muslims." "An excellent starting point for discussions about media representations of race, gender, and religion, the relationship between politics and entertainment media, and the effects of stereotyping." "How can one ignore this thesis given the accumulative impact of the compiled images coupled with Dr. Shaheen's commentary? Very impressive work." "Jack Shaheen exposes in appalling detail this nightmare side of the Hollywood dream machine." "The relentless cinematic assault on Arabs has been our culture's most insidious yet closeted disgrace-until now. [Reel Bad Arabs] casts a penetrating spotlight on the movies that have shaped our infinitely distorted and warped views of Arab and Muslim life." "It came as quite a shock to suddenly recognize a form of racial stereotyping that is so widespread-yet somehow invisible-and almost as old as the cinema itself. Dr. Shaheen carefully documents an astonishing array of Arab villains, sheikhs, and maidens. Highly recommended!" 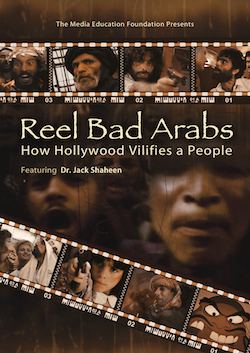 "Reel Bad Arabs performs an invaluable service by visually demonstrating the sheer volume of unrelenting negative images found in Hollywood films... Shaheen stresses that Hollywood's Arab images now seriously interfere with the ability of Americans to think rationally about the Middle East. Jack Shaheen says, 'Enough.' No sane person could disagree." "For years, with rare passion and eloquence, Jack Shaheen has raised a constant, resonating voice on behalf of the Arab in America. An undaunted warrior devoted to righting the wrongs of distortion that have too long persisted, Shaheen has displayed unwavering dedication to the cause of fair play for ethnic groups who have suffered from misrepresentation by our film industry-Arabs most of all. For his courage in protecting the integrity of an entire people against the tides of prejudice in American mass culture, we are all deeply in his debt." "Calm, measured, fair, even-handed, and compassionate. 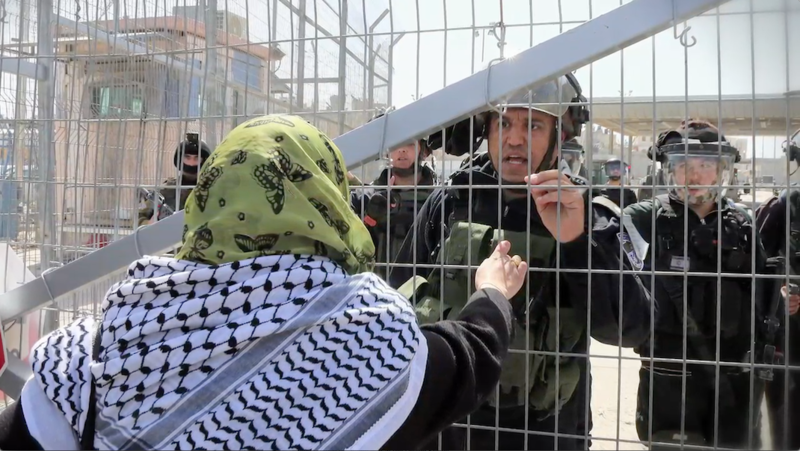 A powerful and important film that validates the human dignity of Arabs and Muslims." "... A well conceived and constructed documentary... This film raises a number of important issues around stereotypes that would prove valuable as discussion in media, film and cultural studies courses. Recommended." "One of the major benefits of the film -- and certainly, of Shaheen's approach -- is to encourage students to take their popular culture seriously and to help them recognize how easily political perspectives can be embedded into what seems to be a pure entertainment... Ours is a culture which truly needs to recognize how stereotypes are perpetuated. Almost all minority groups -- Black, Asians, gays and lesbians, Hispanics -- are examined by scholars in terms of how American popular culture stereotypes them. Often missing is a discussion of the ramifications of this stereotyping. Reel Bad Arabs does both: it explains what the stereotypes are and it challenges viewers to recognize what stereotyping can do. "... A skillfully articulated and illustrated explanation of how Hollywood and the mass media stereotypes 1.6 billion Muslims by depicting them as Arab terrorists. The documentary earns a 9.6 on a scale of 10 for meeting or exceeding multicultural educational standards in terms of expressing social conditions, engaging dialogue, self-reflection, transformational education, and the mechanics of cinematography, pacing, sound, music, and editing." "The documentary successfully illustrates the racism inherent in blockbuster cinema, by using popular filmic examples to ensure the film's premise resonates with its audience... The film is subdivided into several chapters such as: Myths of Arabland; The Arab Threat: Mideast Politics & Hollywood; Terror Inc. Demonizing Palestinians & Muslims; Islamophohia; and Getting Real. In this way, audiences unfamiliar with visual media studies, or the history of U.S. international relations, receive an introduction into the highly controversial historical relationship between the U.S. and the Middle East." HOLLYWOOD MUSLUMANLARDAN OZUR DILER MI?